“It is hard to describe Philip James de Vries’ music because simply put, there isn’t really much like it. His productions don’t conform to conventional dance music, although they incorporate elements from techno and progressive house. They don’t quite qualify as standard electronica either, although live instruments, vocals and unconventional rhythyms are present in most of his pieces. 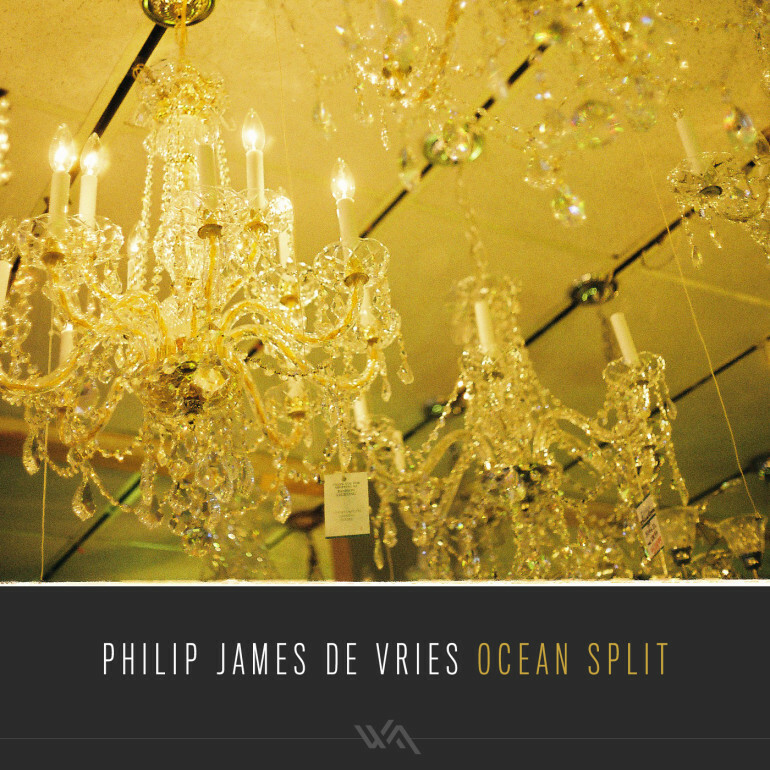 While the definition of Philip James de Vries’ music might elude some listeners, it is hard not to recognize the brilliant and thought-provoking originality of his productions. Nowhere is this more apparent than his latest offering on Wide Angle Recordings. The young Canadian artist returns to the label with Ocean Split, a 4-track genre-defying EP that demonstrates his talent for creating music that is raw, powerful and undeniably original. The mood of the EP is set early on with “Light On The Walkway,” a slow atmohsperic production that incorporates deep basslines, trippy vocals and spiraling synths. The track ebbs and flows effortlessly throughout its 8 minute duration and peaks with a thunderous chunky bassline. “A Horse With Children’s Feet” is an appropriate name for the EP’s second track, as the percussive effects and chord progression create a rather mysterious and enchanting mood. The synths steal the show on Cycling, the EP’s third track. Listeners are truly rewarded as the subtle opening progresses into a full-blown synth work, complete with ethereal vocals in perfect harmony. You can read more about this release on the Wide Angle Recordings website.